You’re going to fall head over heels in love with these quick and easy Shrimp Bites! 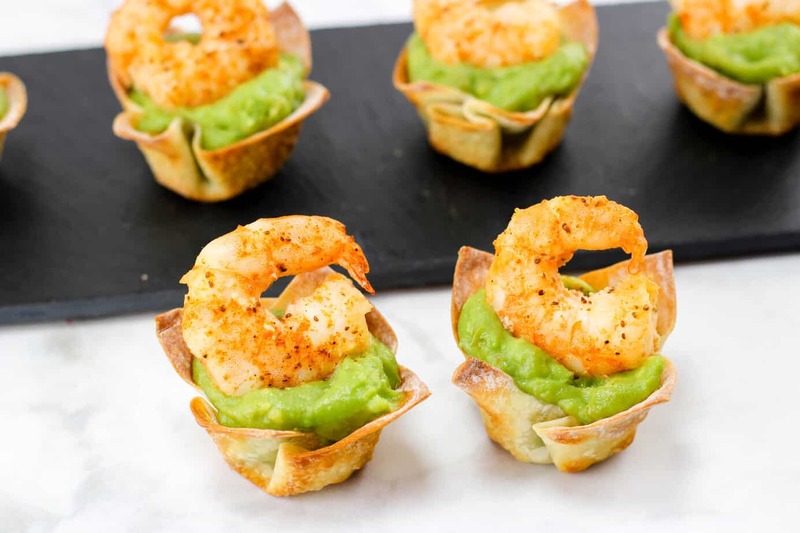 They’re super addictive and the perfect finger food appetizer for any gathering! Who can’t use one more easy appetizer? you can never have too many easy appetizer recipes. 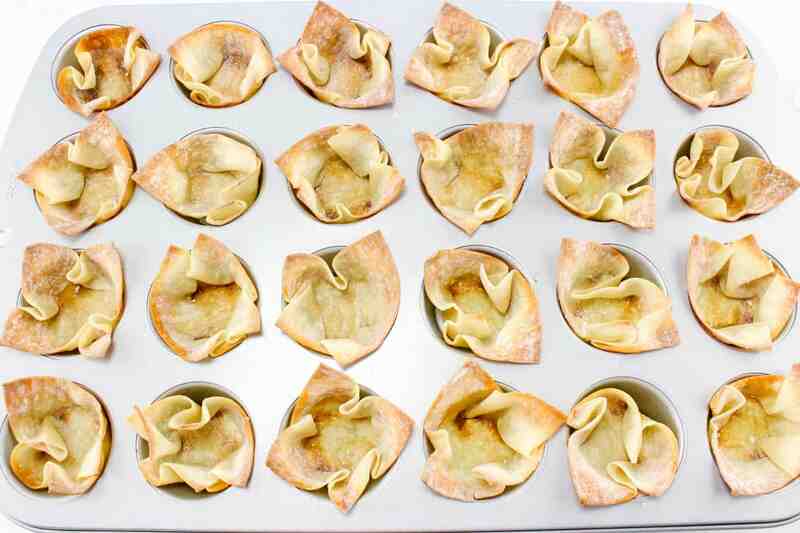 When it comes to making appetizers for a party I’ve learned that easy is best. Keeping your sanity and being in a good mood when guests show up is far better than having a complicated appetizer that took you half the day to make and that your guests will never know or probably care that it took that long to make. All anyone cares about is eating food that tastes good, having fun and in this case watching the big game. 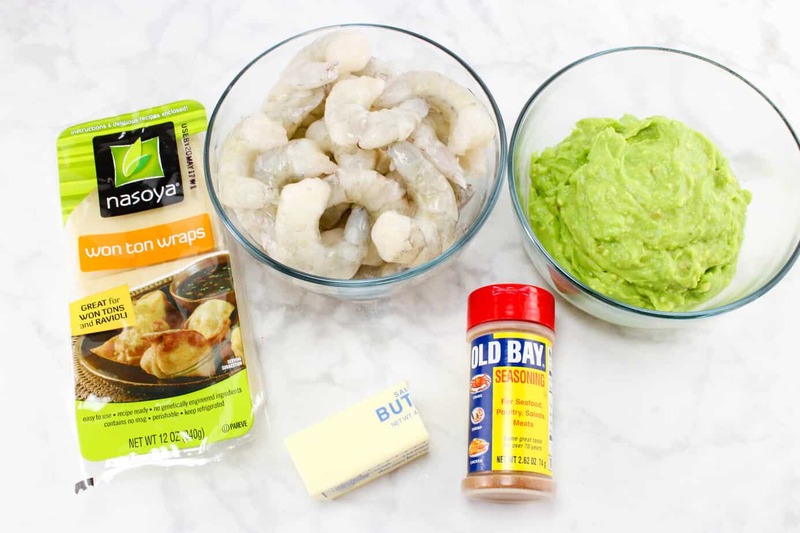 These Shrimp Bites are both quick and easy to make and include a couple shortcuts you can take to make them even easier. Thanks so much for coming by now get to creating!!! 2. 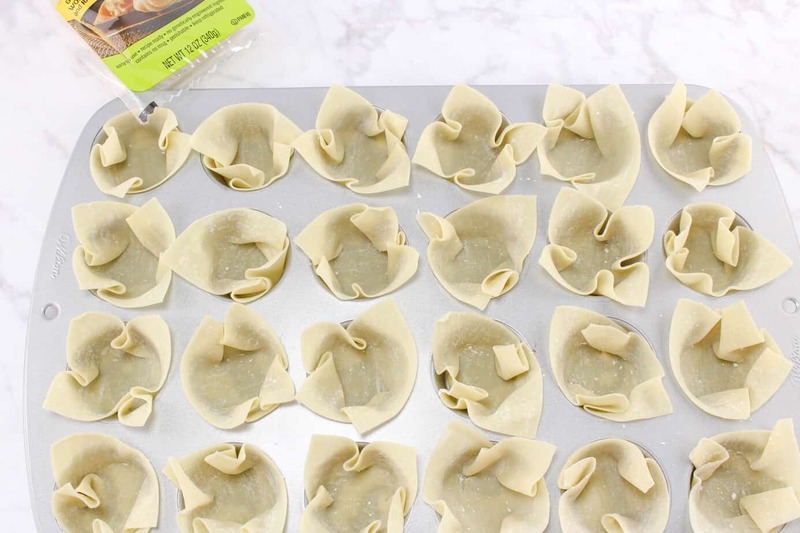 Spray a mini muffin pan with cooking spray and press a wonton wrapper in each little cup. 3. Bake in the oven for 8-10 minutes or until golden brown. 4. In a skillet, melt the butter and add the shrimp. 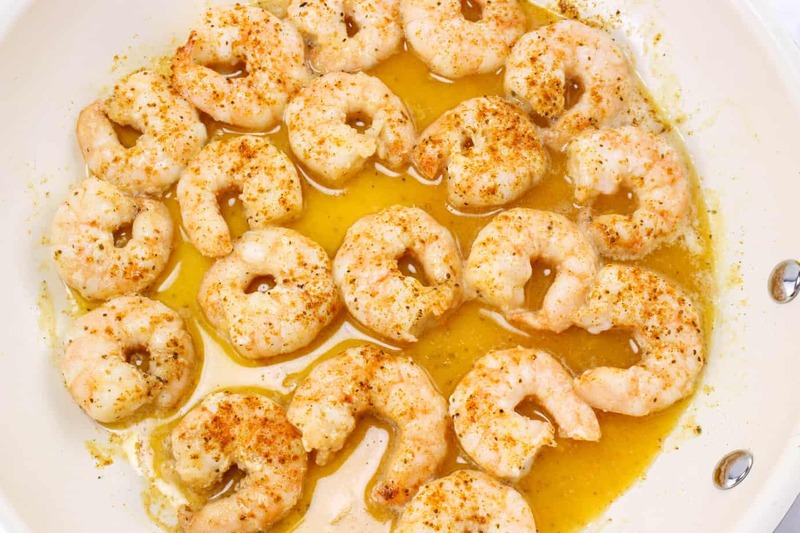 Sprinkle Old Bay seasoning over the shrimp. 5. Cook over medium heat for about 2-3 minutes on each side. 6. Remove from skillet and set on a paper towel. 7. 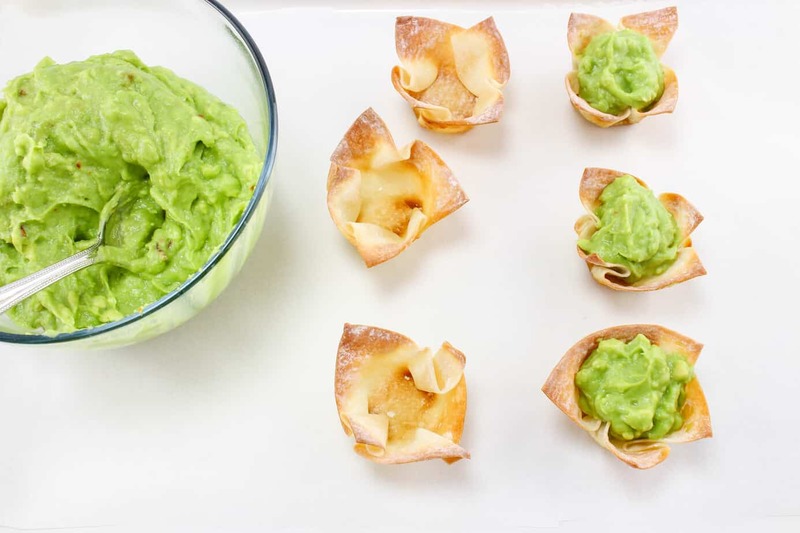 Fill each wonton cup with a spoonful of guacamole, and top with a shrimp.